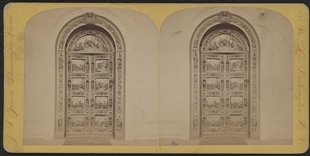 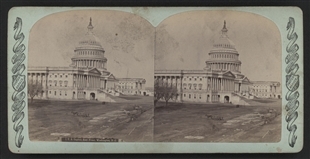 This image was taken to exploit the stereoview’s ability to show recession into space, and with that, impress the viewer with the size and detail of the Capitol’s East Front. 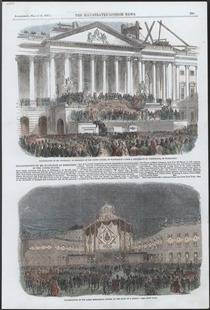 The ceremonial front of the Capitol during the 19th century, the East Front was illustrated in countless news periodicals. 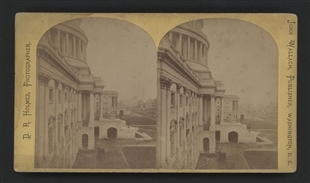 This oblique view provides a novel perspective of this often-seen landmark.